When I get into something, I really get into it. Two years ago, it was marble. I decked out my kitchen in small marble accessories, carried my phone in a typical faux-marble hardcase, gawked at any marble countertop. It was chaos (or so Joe thought), but I simply couldn’t resist. 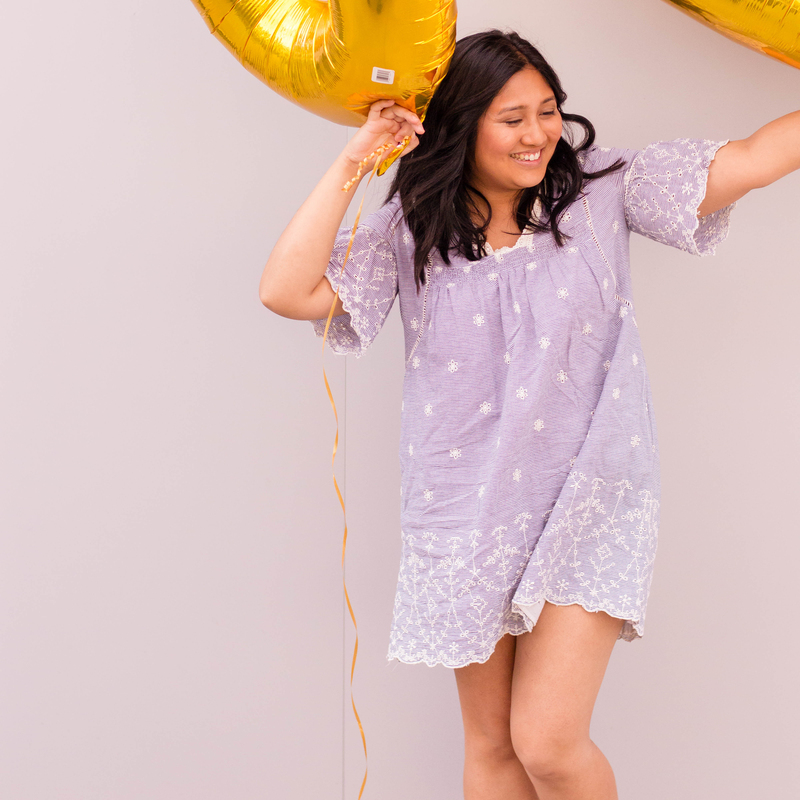 And so, ladies and gents, I have decided to kick off my month-long birthday celebration with no other than a unicorn-themed blog post. I don’t know if it’s the pastels, the rainbows, the glitter, or the fact that I’m a new mom… but I am completely infatuated. As a recipe developer, this new “obsession” couldn’t be more perfect. My mind is bursting with ideas and I can’t wait to share some of them with you. Scrolling through Pinterest (psst: follow me here! ), I am sure you’ve seen countless versions of unicorn poop, unicorn toast, etc. In fear of missing out, I’ve got to hop on-board. Here’s my take on the oh-so-popular (and the oh-so-magical): unicorn toast. …breakfast couldn’t get any sweeter! Apply separate dollops on your toast and with a butter knife, spread and blend (but don’t mix) the colours. Apply sprinkles as desired and enjoy the magic. That is so fun. I love all the bright colors. It’s such a festive way to give spring a little coax out of hiding. That is a fun way for a kiddo wake up in the morning! That is so colorful and fun to eat. This would have been a perfect Easter morning breakfast! This is a great idea! It looks like a sweet cookie but it’s better than that. I would have never thought of using food coloring in cream cheese. I may have to try that with my next cheesecake! This is very creative. Sometimes it’s hard getting my younger siblings to eat (kids are so picky! lol). They love getting artsy and playing with their food, so this would be a great little snack for them. I totally get you on obsessing over something specific like you did with marble! Marble is gorgeous too! I love that you went with something so colorful for this new obsession! Unicorn celebration – oh indeed! Happy birth month too! The toast – totally going to make this – I love it and my daughter will too! This is super cute!! Almost too pretty to eat! My daughter would love this. We would probably make it on a slice of toast rather than an English Muffin though. How fun is that??? 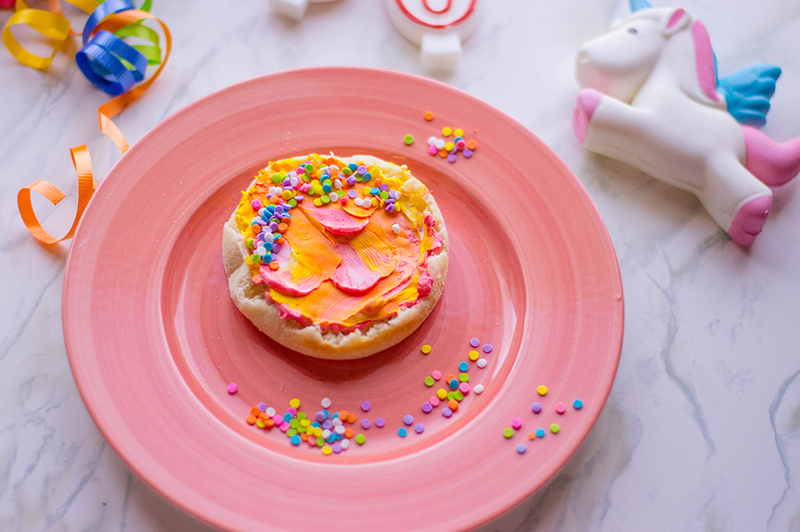 I’m not into the unicorn craze but I do love pretty food and that is just crazy cute! Unicorns have become an obsession in my house, my daughter needs everything unicorn themed. This will most likely be the new breakfast she asks for like every morning lol! Anything with unicorns or bright, fun colors is a hit in my home. I know my girls would love this! What a colorful and fun toast! My little niece love all things unicorn so she’s going to be delighted to see that. This such a festive way to kick off the day and your birthday celebrations!! This is so fun! What an awesome and colorful way to celebrate! How cute! Im absolutely lovin unicorn treats of any kind lately. All the colors bring instant smiles! Such a fun way for a child to wake up in the morning! Love the colors, so pretty! It would have been a perfect Easter morning breakfast! This is too fun! 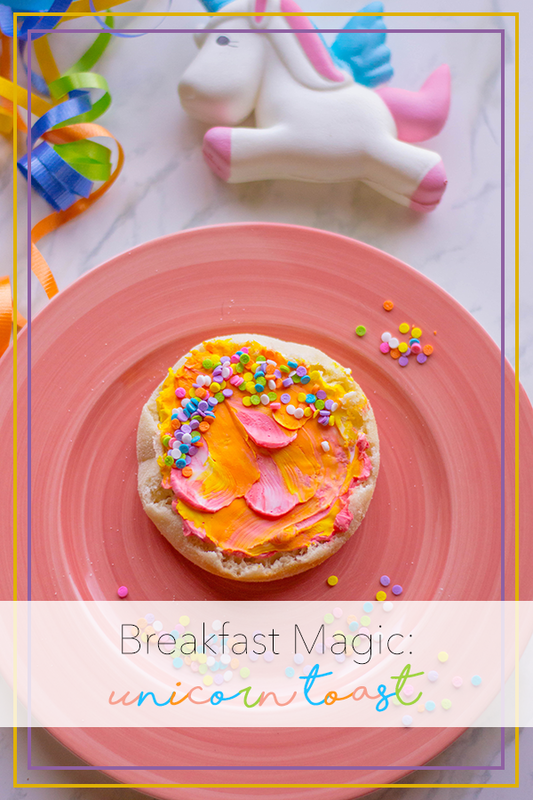 I love the whole unicorn craze, so this is right up my alley – and such a fun way to brighten up breakfast! I love unicorn. 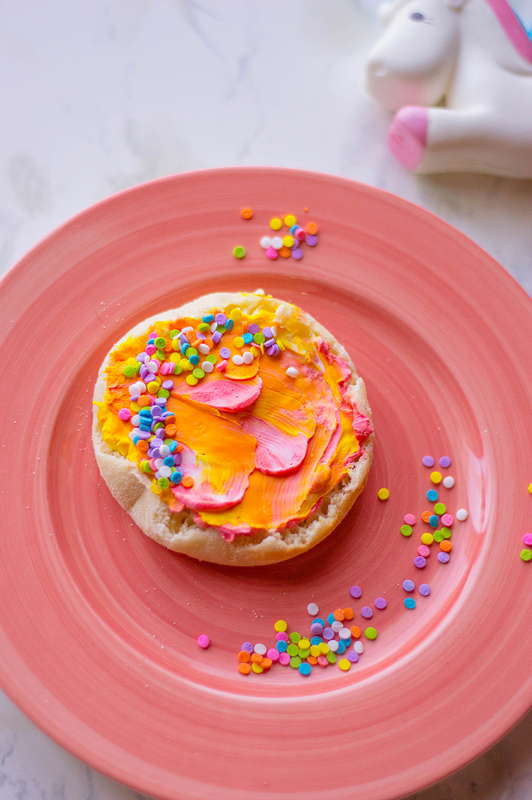 This toast is so colorful, perfect for brunch or any special occasion. I know that my daughter would love to try the toast. 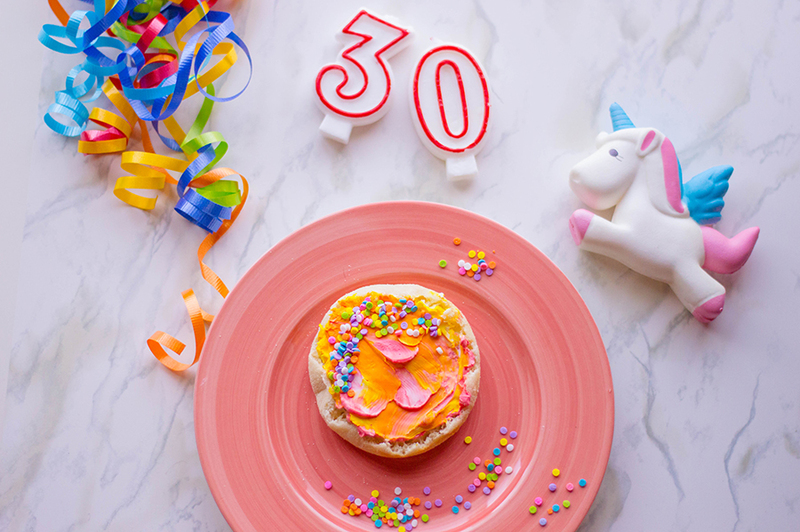 This is such a cute idea for birthday breakfast. I’ll have to try it with natural food colorings. How fun and adorable is this!